Singer Afgansyah Reza has taken a mishap at the Prambanan Jazz Festival in Yogyakarta last August to heart. While he was belting out his fourth song, the lights suddenly went off and the speaker volume dropped, an apparent sign that he was being kicked off stage in front of thousands of his fans. Popularly known as Afgan, the pop star jokingly described the mishap as sadistic, referring to his biggest heartbreak song, “Sadis” (Sadist). But he took it positively, saying it colored his musical journey, which started in 2008. Since his award-winning debut album, Confession No. 1, 10 years ago, Afgan has never faded away. He has released 15 chart-topping singles and has 57 awards under his belt, starred in three movies and been a coach in a TV talent show. In February, his fifth album, Dekade (Decade), which resumed his musical career, was officially launched. The 28-year-old has just debuted a music video for its first single, “Heaven”, in which he collaborated with rising stars Rendy Pandugo and Isyana Sarasvati. “Time flies so fast,” he said. Dekade comprises four new songs and 10 old songs, including three remakes, which are all composer Bebi Romeo’s works. They are “Sadis”, “Bukan Cinta Biasa” (No Ordinary Love) and “Bawalah Cintaku” (Please Bring My Love). “I would be nothing without Mas Bebi’s songs,” he said, paying tribute to the composer, who composed “Terima Kasih Cinta” (Thank You Love), his first single, which brought him to stardom. For the remake of “Sadis”, Afgan, who is a big fan of rock singer Iwan Fals, teamed up with rock band Barasuara drummer Marco Steffiano as its arranger to get a nuance of 80s blues rock. The singer, who did a remake of Malaysian diva Sheila Majid’s “Ku Mohon” (I Wish) in 2014, was also thrilled that a song in his new album, Bawalah Cintaku, was featured by the songstress. “We have been friends since 2015. We often meet in Kuala Lumpur. She likes the song [“Bawalah Cintaku”] very much, saying it is not just a love song because its lyrics are universally meaningful,” he said of his duet partner. Before Sheila, the soloist worked with big-name Indonesian singers, from Sherina and Rossa to Raisa. Believing his musicality and stage performance have developed, Afgan says that Dekade not only evokes nostalgic memories of his old songs, but also shows his exploration of his music. He admitted that in the beginning of his career, he often imitated other singers’ styles because he was still looking for what kind of music suited him the best. “After 10 years, I am in a phase where I know what I want and I am more comfortable being myself,” he said. For Dekade, he was directly involved in the songwriting. “Today, I am more confident about introducing songs I have written and singing them,” he said. In the album, the new songs composed by him are heavily influenced by hits from the 1990s, such as “Inikah Cinta” (Is This Love) by boyband M.E. “I cannot move on from the 90s,” he said. 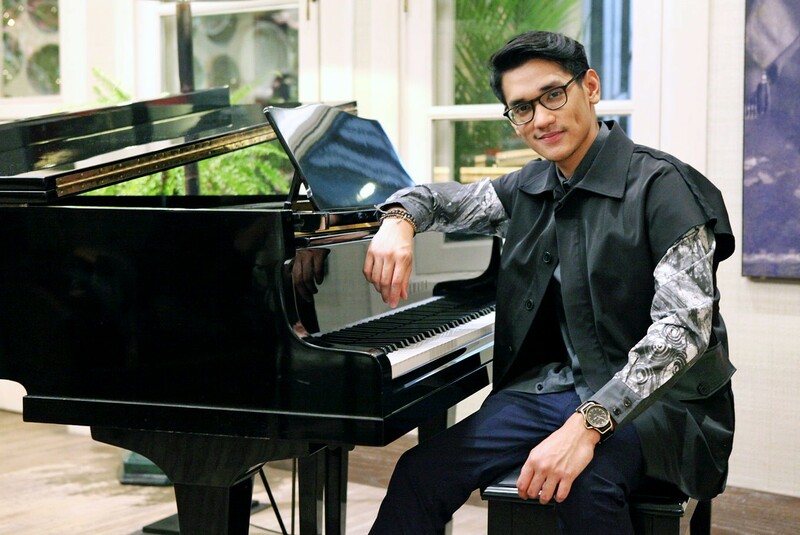 Steeping out of his comfort zone is a must for Afgan because he says he does not want to be thought of as a singer who is only able to sing slow romantic songs. Therefore, in Dekade, there is an R&B song, “Take Me Back”, that features Indonesian rapper Ramengvrl. Last year, he collaborated with Malaysian rapper SonaOne for the duet “X” for his fifth album, Sides. Despite the fact that his career has spanned a decade, being more confident on stage is still a challenge for the singer. Even today, he can still become nervous easily. He recalls that the worst anxiety attacks were in 2015 and 2016, but he does not know why. “I am still shy, but I know better how to solve my anxiety. [Before performing], I usually meditate or pray,” he said.